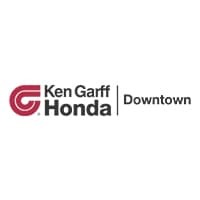 Here at Ken Garff Honda Downtown, renting a car doesn’t have to be a hassle! We are less expensive than most rental places, with a variety of new Honda vehicles to rent. Whether you’re on vacation, are having car problems, or just need a car for a few days, we can help! Located in the heart of Downtown Salt Lake City, we can meet the needs of people in Farmington, Kaysville, Bountiful, Woods Cross, South Salt Lake, Midvale, Murray, Sandy, and more! Stop by Ken Garff Honda Downtown to pick up your affordable rental car, today! We also have rental cars in Orem, Utah. To reserve a rental car, please call (801) 526-1737.